The famous Greek philosophers were among the most influential people in history because they invented both philosophy and science. By asking questions about themselves and the world around them, these philosophers helped create modern civilization. Interestingly enough, the Greek philosophers thought of themselves as scientists rather than thinkers. They called themselves seekers and lovers of wisdom and often studied a wide variety of subjects, including history, physics, law, sociology, politics, mathematics, and biology. The famous philosophers were also teachers, educating wealthy children and operating schools as well as thinkers. As long as man continues to be the ruthless destroyer of lower living beings he will never know health or peace, for as long as men massacre animals, they will kill each other. Pythagoras is a famous mathematician who is credited with inventing the Pythagorean Theorem, one of the key computations in geometry. He was also one of the first people to express musical notes through mathematics. Some sources indicate that Pythagoras was the first person to call himself a philosopher and to organize a school of philosophy. He was also a mystic and a religious thinker who founded a sect called the Pythagoreans. The Pythagoreans were reputedly vegetarians and pacifists who believed in reincarnation. Little is known of Pythagoras, but some legends indicate that he was the first to teach that the Earth was round. Little is known of Zeno's life because the only information we have about him comes from other famous Greek philosophers, such as Plato and Aristotle. 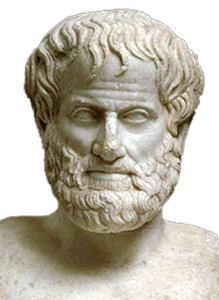 Aristotle regarded Zeno as the inventor of the dialectic or dialectical method of argument, which is considered one of the key methodologies in Western and Islamic philosophy. He was also regarded as the inventor of rhetoric and the father of debate. 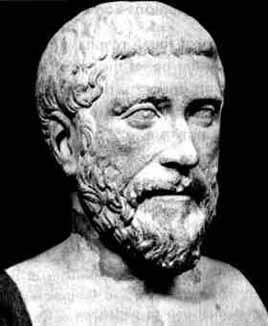 Zeno is famous for his paradoxes and for attempting to kill a tyrant named Demylus but failed. Demylus then might have murdered Zeno. Democritus was one of the first advocates of democracy, equality, and liberty. He was also the first person to advance the hypothesis that all matter is composed of small invisible particles called atoms, anticipating the discoveries of modern physics. Democritus was one of the first known critics and a proponent of the just theory—the idea that people should take up arms to defend themselves from tyrants. Democritus was also one of the first scientists who wrote books on a wide variety of topics, including animals and plants. Democritus was one of the first people to advance the idea that there are worlds besides the Earth. Even though he was one of the most important Greek philosophers, Socrates was not a teacher and he never wrote down his teachings; instead, he was a master stonemason and social critic. Socrates became famous for encouraging people to critically question everything. 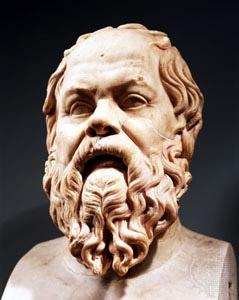 Socrates' greatest contribution to philosophy was the Socratic Method in which discussion, argument, and dialogue are used to discern the truth. The method is usually regarded as a set of questions that are tests of logic. Socrates' most famous student was Plato. Socrates eventually gave his life for liberty. He was tried and convicted for criticizing the government and religion. Socrates then chose death by suicide over exile from his homeland of Athens. Laws are made to instruct the good, and in the hope that there may be no need of them; also to control the bad, whose hardness of heart will not be hindered from crime. 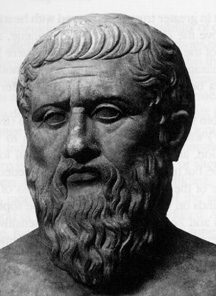 Plato is regarded as the father of political science and the founder of one of the world's first known institutions of higher learning, the Academy in Athens. The Academy created formal philosophy by teaching students the Socratic Method. 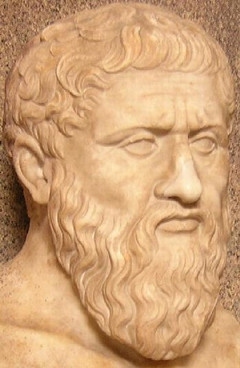 Plato wrote widely on many subjects, including philosophy, ethics, religion, and mathematics. He created an influential school of philosophy called Platonism, which influenced Christianity. Plato wrote one of the first and most influential works on politics, The Republic, which described an ideal or Utopian society. Like his mentor Socrates, Plato was a critic of democracy. Aristotle is famous as one of the three founding fathers of Greek philosophy along with Plato and Socrates. He is also known as the teacher of Alexander the Great. Aristotle studied a wide variety of subjects, including science, ethics, government, physics, and politics, and wrote extensively on them. Aristotle's ideas on science were widely believed for centuries and had a profound influence on Islamic thinkers. Aristotle was one of the first people to try to classify animals and to study psychology. 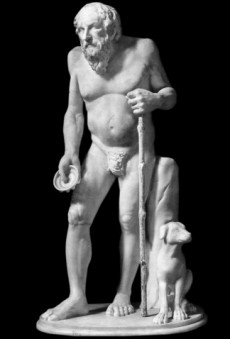 Diogenes was known as Diogenes the cynic because he was one of the founders of the Cynic school of philosophy. Diogenes rejected society as corrupt and hypocritical and lived a simple lifestyle instead. Legend has it that he lived in a barrel and mocked authority figures, including Alexander the Great and Plato. Diogenes used stunts such as carrying a lamp in the daytime to express his philosophy and refused to write. Diogenes was a radical who rejected all political and social organizations and even the idea of private property. Instead, he believed that simplicity was the key to happiness. By suspending judgment, by confining oneself to phenomena or objects as they appear, and by asserting nothing definite as to how they really are, one can escape the perplexities of life and attain an imperturbable peace of mind. 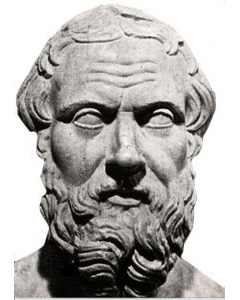 Pyrrho was known as the first skeptical philosopher because he believed that humans can never know the truth; instead, they can only grasp the appearance of things. Pyrrho rejected education and regarded knowledge as impossible because everything is unmeasurable. Among other things, Pyrrho believed that people were incapable of telling the truth. There are no known writings of Pyrrho, but he inspired a school of philosophy called Pyrrhonism or skepticism that taught happiness could achieved by rejecting the search for knowledge. Epicurus might be the most misunderstood Greek philosopher. Even though he thought that a simple lifestyle was the key to happiness, in the modern world, the term Epicurean is known as a lover of fine things. Epicurus founded a school which taught an opinion that a peaceful life free of pain was the path to happiness. 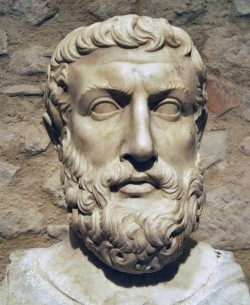 Epicurus believed in atoms and taught that the humans had no control over fate. He also refused to believe in the gods and taught that the universe had no purpose. Epicurus believed in equality: he educated slaves and women in his school when most Greeks believed they were incapable of learning. Even though Epicurus is believed to have written 300 works, none of his writings are known to have survived. Zeno of Citium was the founder of one of the most influential schools of Greek and Roman philosophy: the Stoics. Zeno's major belief was logic, which he believed existed to help people avoid deception. He was also deeply interested in ethics. The purpose of ethics was to achieve happiness by living according to nature, Zeno believed. Zeno's most interesting belief was his physics or theology: he believed that the universe itself was god and conforming to its will was the ultimate goal of human life. Zeno also believed that human beings lacked free will; instead, the universe directed their behavior.